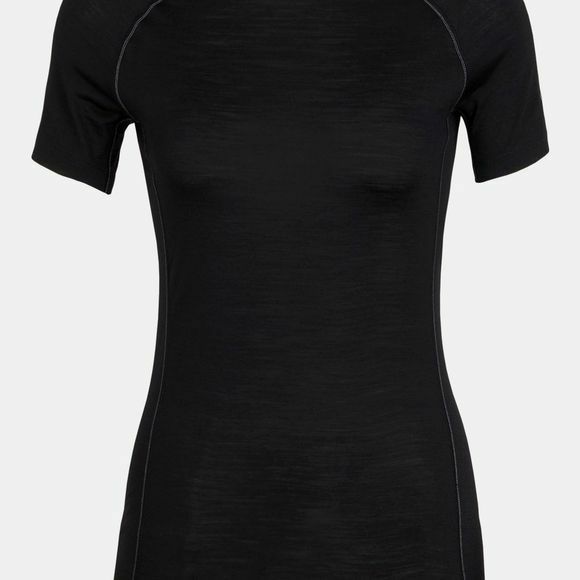 The Womens 150 Zone SS Crewe Top from Icebreaker is a lightweight technical baselayer designed with our BodyfitZONE construction. The Zone Crewe offers intelligent ventilation for year-round moisture management and stretchy, quick-drying performance. 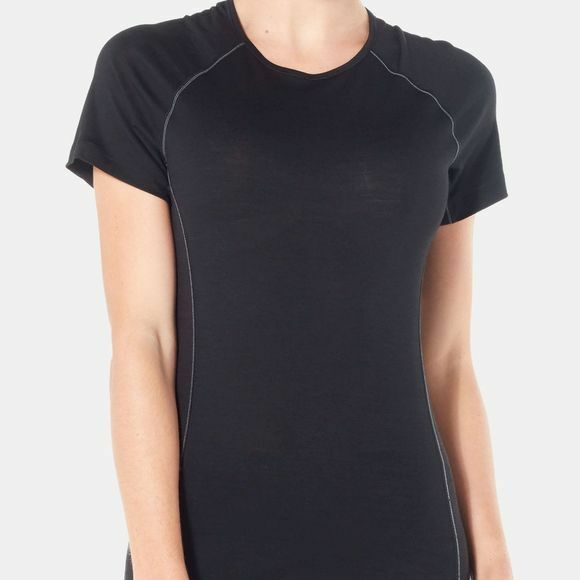 A versatile baselayer that works layered up on the ski hill as well as worn alone on a warm trail run, the Zone features our corespun fibers—nylon threads wrapped in soft merino wool and blended with Lycra for the ultimate combination of durability, stretch and next-to-skin softness. In the upper back and along the sides, strategically zoned panels of highly breathable merino mesh increase ventilation for high-output days. Underarm gussets and raglan sleeves improve range of motion, and flatlock stitching prevents chafing during dynamic pursuits.